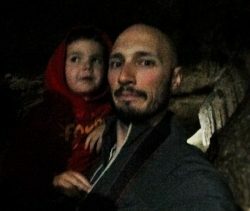 Spelunking: the act of exploring caves and wandering deep into the earth… with kids. 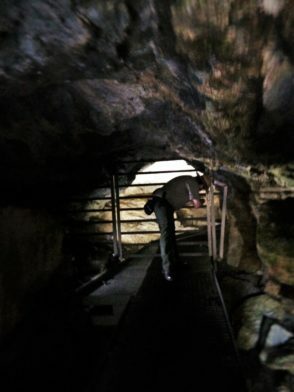 That’s what we got to do at Oregon Caves National Monument. We had an the best experience, which we were a bit worried about before starting our tour. 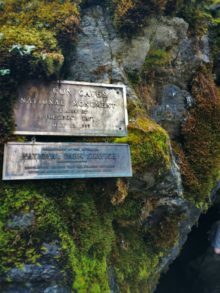 We were welcomed by Oregon Caves National Monument for our ranger-led cave hike and it was awesome. 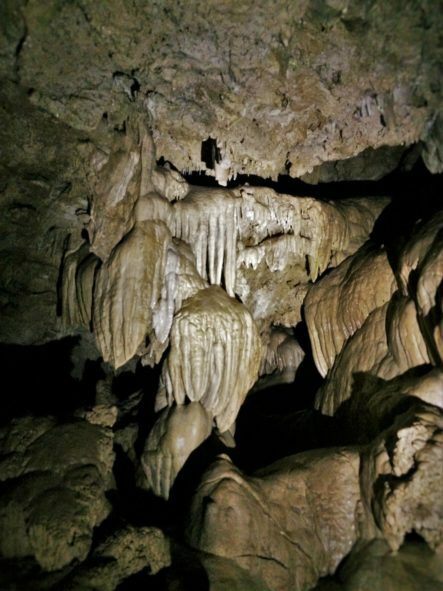 If you’ve not hear of Oregon Caves National Monument before, that’s not surprising. 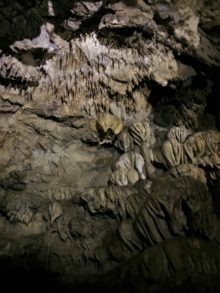 There are other, more famous caverns in the National Parks system and even outside of it, but the Oregon Caves are really something special. 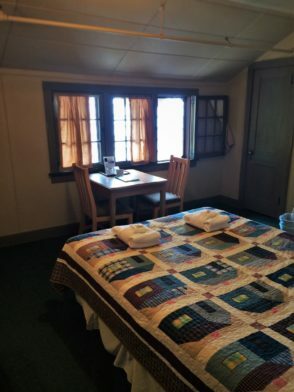 From the amazing Chateau at the Oregon Caves to the really well put together Visitors Center, a visit to Oregon Caves National Monument is a great adventure for family travel or solo trip plan. 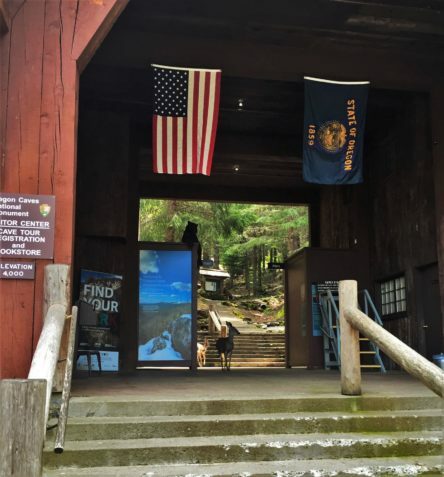 Like we said in our article about the Oregon Caves Chateau, getting to Oregon Caves National Monument can be done two ways: coming from the coast or the Interstate. Traveling from I-5 and heading west is a short half hour to Cave junction and then the winding drive through the hills. 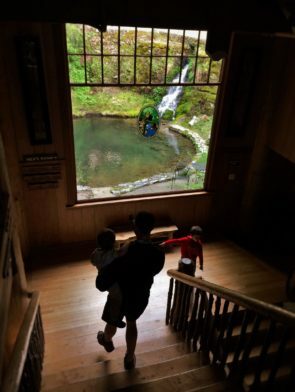 Coming from the coast, if you start on the Oregon Coast, you’ll have to head south into California and then head north again, with about two hours travel time to Cave Junction… and then you still have the crazy road up the mountain. 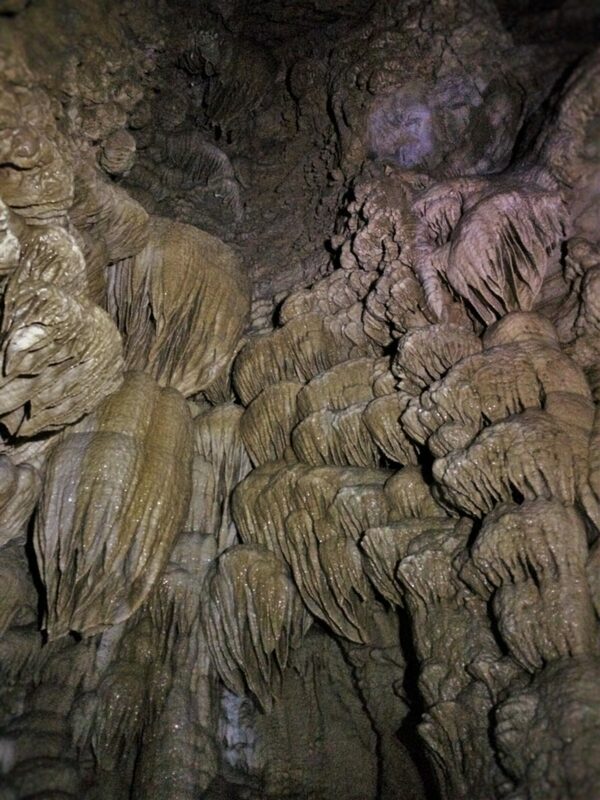 Wherever you’re coming from, the drive and time you’ll spend at Oregon Caves National Monument is well worth it. Tip: it’s worth it to spend the night, either in the Chateau or camping at Cave Creek Campground so that you can maximize your experience. 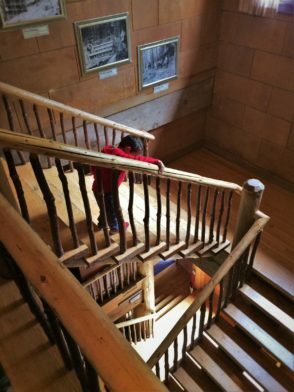 We love taking advantage of the many programs the National Parks Service provide, which can vary from Ranger-led talks to exploring Visitors Centers and even going on tours. 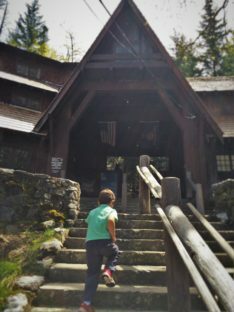 At Oregon Caves National Monument we did all of the above… and more. We had great conversations with the National Park Rangers and learned all about how the National Monument is integral to the community of Cave Junction, as we were there on Community Day and there were tons of people and things happening. The Rangers were plentiful and all ready to engage and share their love of the Park (#FindYourPark). 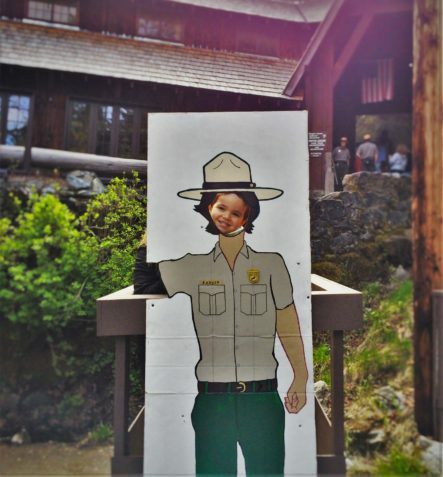 We also got to complete a Junior Ranger program here at Oregon Caves National Monument. This was a tricky one to do, as a large portion of the packet was about safety in the Caves, of which some aspects were counter intuitive. Oliver made it though and Ranger Rob (also our tour guide) was very patient in going through the worksheets and making sure everything made sense. 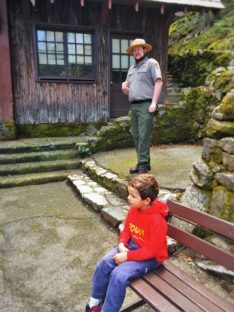 Tip: participating in Junior Ranger programs is a really fun way to get your kids excited about National Parks as well as plant a little seed for conservation, history, and potential careers. 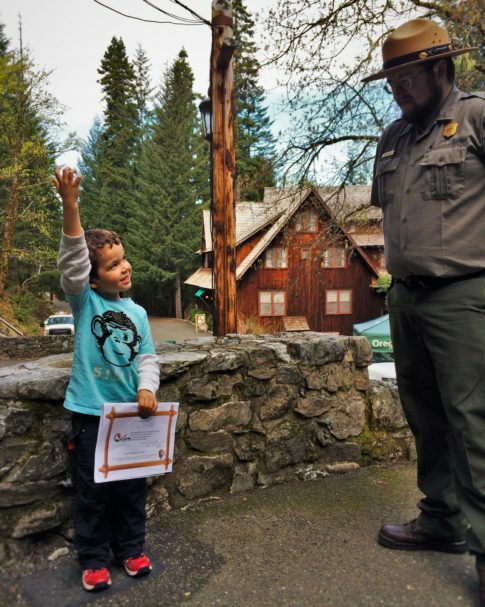 We not-so-secretly hope that one of our kids grows up to be a National Park Ranger. We also got to explore the Visitors Center and get our National Park Passport stamps. 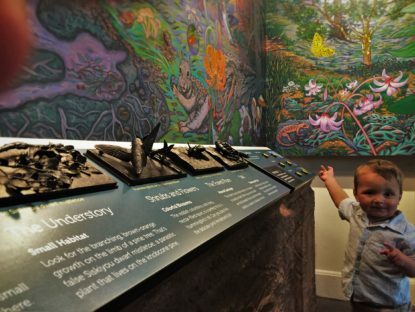 Visitors Centers are really wonderful, especially if you have younger kids, as they’ve got fascinating things to look at, usually lots of interactive displays, and lots of things to play with that secretly teach kids cool things about the Park. We love to sneak in learning whenever we can. 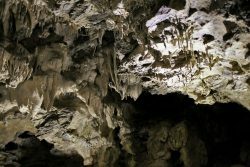 First thing to know about going spelunking and touring Oregon Caves National Monument (or any cave system for that matter): you must be able to safely walk and need to be comfortable in the dark. 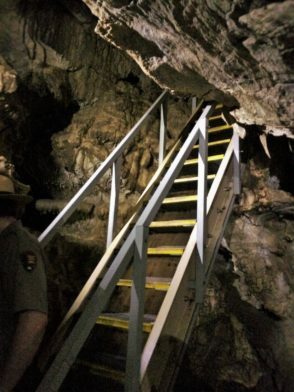 Also, you cannot go through the Caves on your own; you must be a part of a tour group and be led by a National Park Ranger. 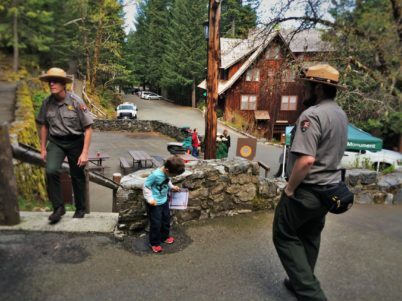 You cannot carry children through the tour of Oregon Caves National Monument. The pathway is dark, slippery, narrow in many places, and extremely low in other spots. Everybody has to be able to duck down and walk on their own for the duration of the hour and a half guided tour. Note: there is an exit midway through the tour if it’s too strenuous or scary for anybody. 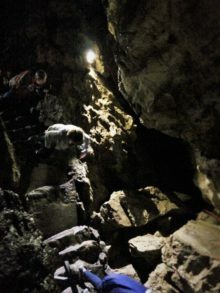 We had several people leave during our time in the cave due to the physical nature of the tour. 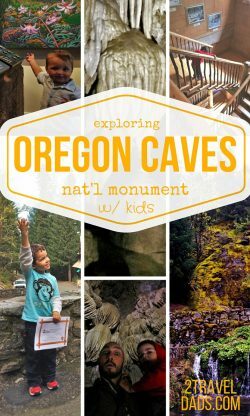 As you’re wandering through Oregon Caves National Monument, you’ll hear all about the history of the caves, their discovery by western settlers and how conservation has changed over the years. 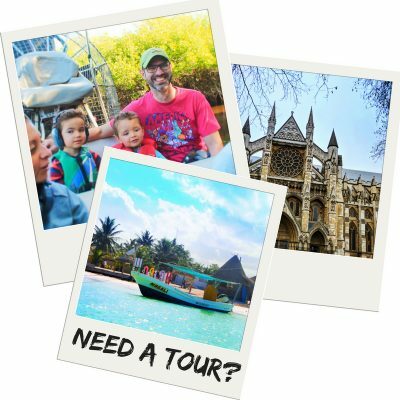 There are a good many stops all through the tour, so you’ll have time to ask questions and really check out a lot of the more magnificent features up close. 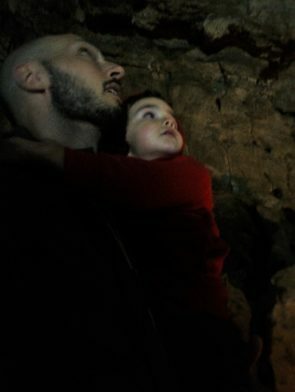 Tip: if you’re in the Caves with a little person, take advantage of the stops to give a little comfort if they’re scared or to engage in conversation with the Ranger. 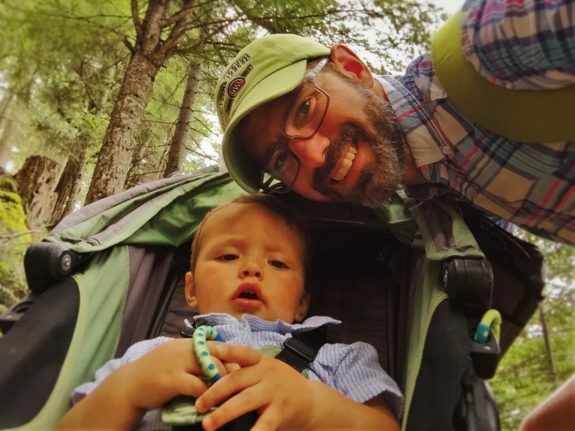 An hour and a half may seem like a really long time to a child, especially when they’re someplace that’s a bit dangerous and they have to remain calm and under control. 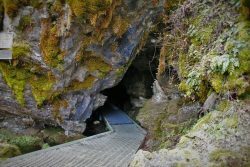 The tour of Oregon Caves National Monument takes you deep into the hill and there are some pretty tricky areas to traverse. The sights you see are well worth the effort (and fear at times) and you’ll be glad if you do each of the suggested ladders and staircases. 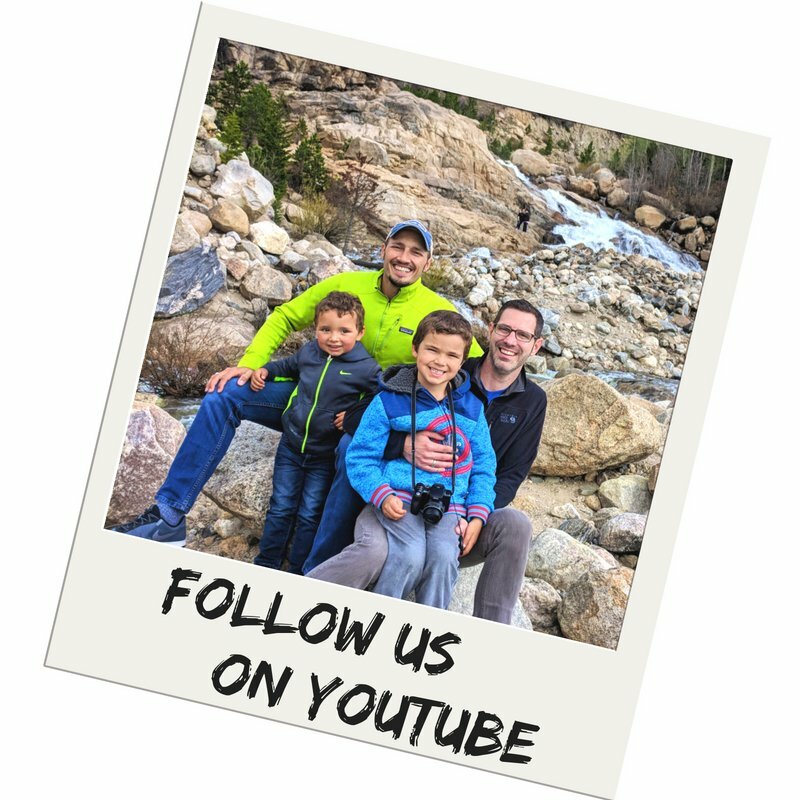 There are quite a few offshoots from the main path that you’ll have the opportunity to explore, and having done all of them, we strongly recommend doing each. Note: we’re physically fit guys with good vision and not a lot of fear. If you’re not up to the task or know that you’re going to have a claustrophobic panic attack, be aware of yourself and tell the Ranger how you’re feeling. Be safe for yourself and everybody else in the caves. 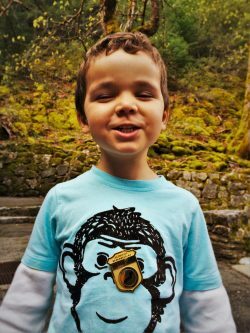 So, how did our brave four year old Oliver do in Oregon Caves National Monument? He rocked it. 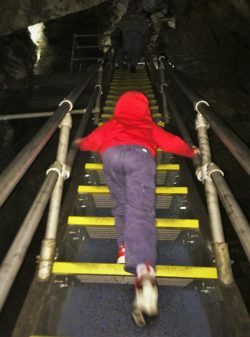 He did have a few moments where he got scared, particularly when the electric lights went out (intentionally), but he was very brave with crossing the crevices, climbing the ladders and being strong when all he could see in front of him was the dark nothingness. We were so proud of him!! 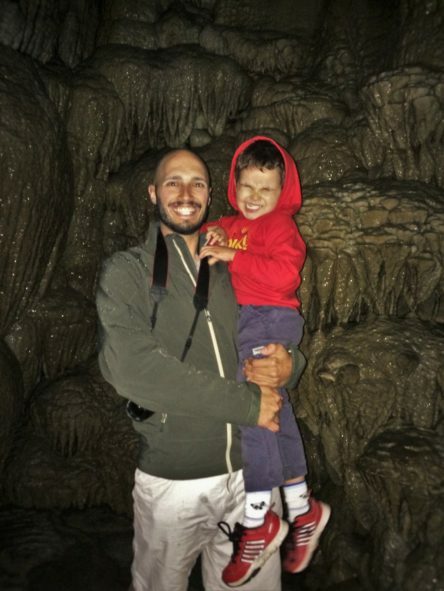 We didn’t all get to do the tour together, as Elliott (our youngest) couldn’t safely walk and climb in the Caves. They let us split up though, so I went with Oliver and then did the child-hand-off after the tour so Chris could go. 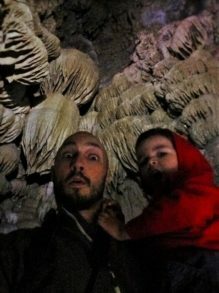 Switching parents/kids so everybody can enjoy the Caves (or even Disneyland) is always a good idea and the staff is usually happy to accommodate. 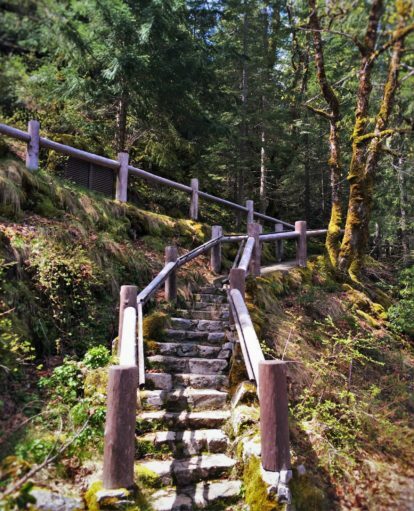 If you’re spending a full day or more at Oregon Caves National Monument you’ll have time to do some of the hikes in the area. 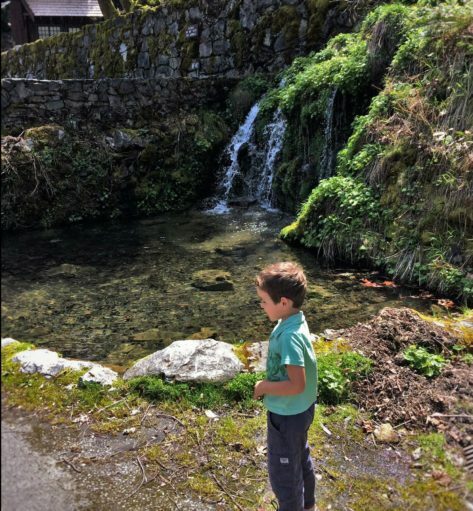 There are quite a few options, ranging from easy strolls on paved pathways to really getting up into the hills and seeking out peaceful, remote waterfalls. We were limited due to our time, but did some of the smaller walks. We loved the lushness of the valley and the plethora of birds. 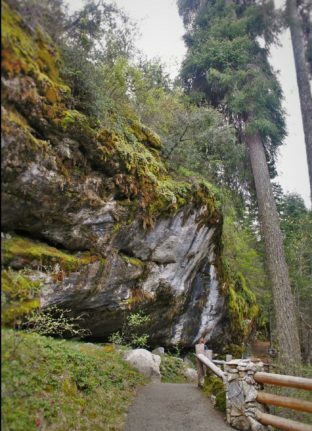 When you’re at Oregon Caves National Monument you’ve come very far from civilization and you’re up in the jagged, forested hills so it’s extremely quiet. It’s a very good plan to spend a bit of time sitting and listening to nature. 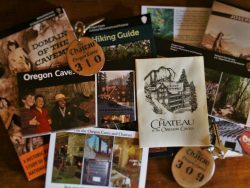 You know, if you haven’t read it yet or checked out the pictures, just go peek at our article on the Oregon Caves Chateau. 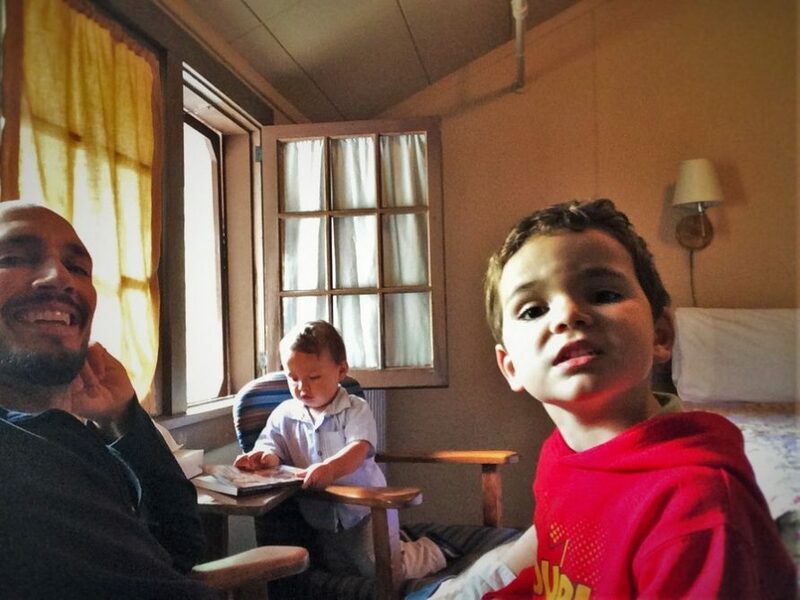 It’s the most amazing, magical place we’ve ever stayed. It wasn’t the fanciest, most well appointed and amenity-loaded hotel on our tour of the National Parks, but it was really beautiful. 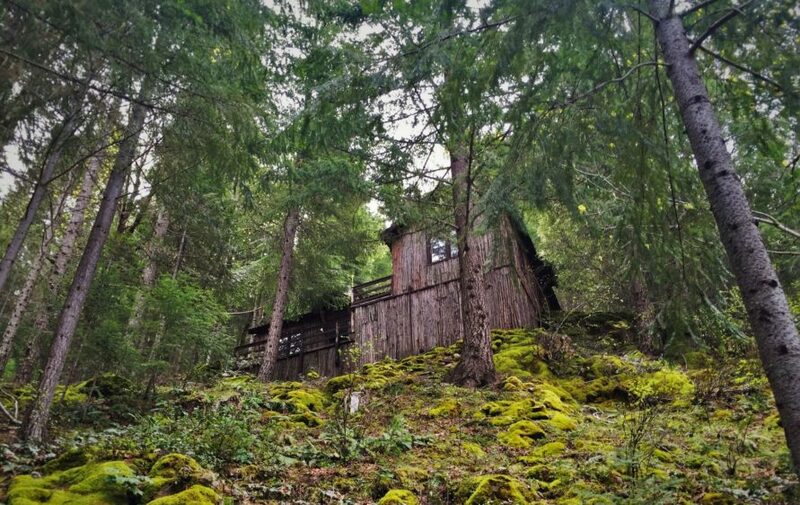 It’s a six story log cabin/chateau built on top of a stream, with a wooded ravine on one side and a moss-covered waterfall on the other. 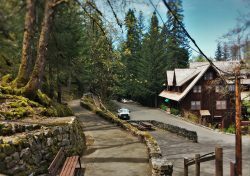 The Oregon Caves Chateau is open May through October, so you’ll have plenty of time to squeeze in a weekend visit and spend the night at some point in the spring or summer. We’re continually surprised by the amazing National Parks we get to visit. Spending time at Oregon Caves National Monument was the perfect end of our #2TDgoparks2016 epic road trip. 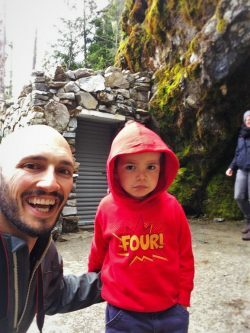 While the Caves themselves weren’t the most amazing of any we’ve visited (pretty freakin’ cool though), they were a great first experience for Oliver and we loved getting to add a new National Park stamp to our passports! Caves are one of our absolute favorite things to experience. 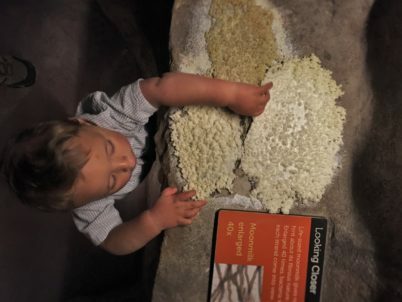 This seems like a pretty cool place for a four year old! 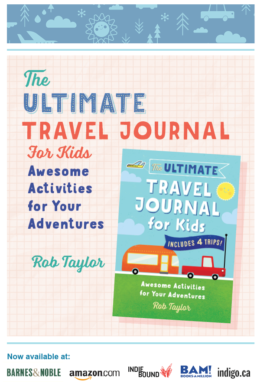 The Junior Ranger program seems like an awesome idea too. Spelunking is a new term I have picked up from your post. I was not aware that this is what cave exploring is called. Love the thrill of cave exploration, the darkness adds a whole aura of mystery and intrigue. 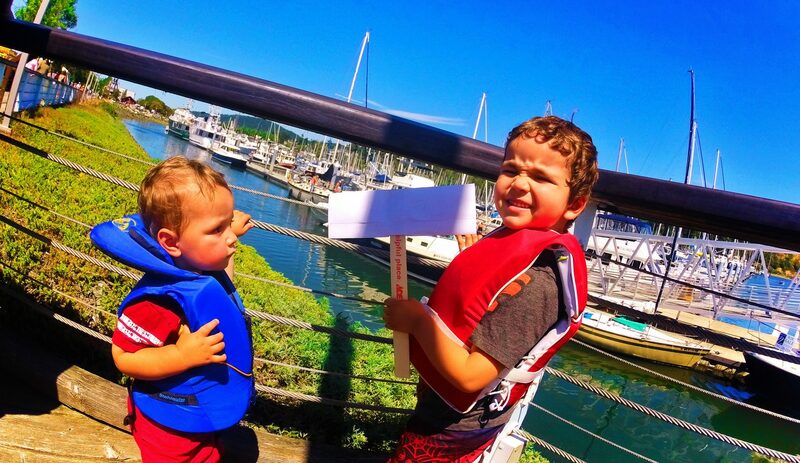 Looks like Oliver had a blast inside from the smile he’s beaming. What a fantastic place to take you kids. Caves fascinate me but I am yet to explore some here in Switzerland. My Mom though would never be able to cope up in such a claustrophobic environment,if we ever went on such a trip together.